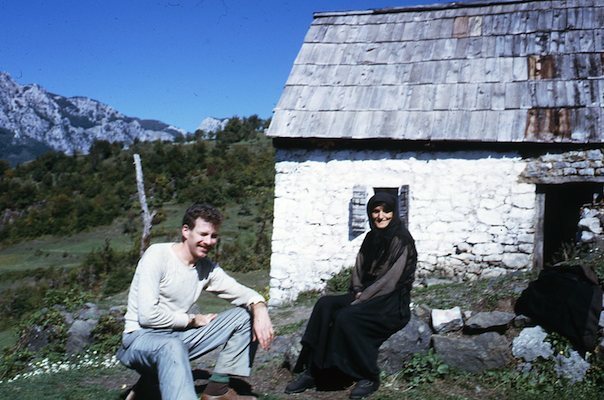 Fieldwork in Montenegro began in 1963 and ended in 1966, with two years being spent in Gornja Morača, or Upper Morača River Tribe. 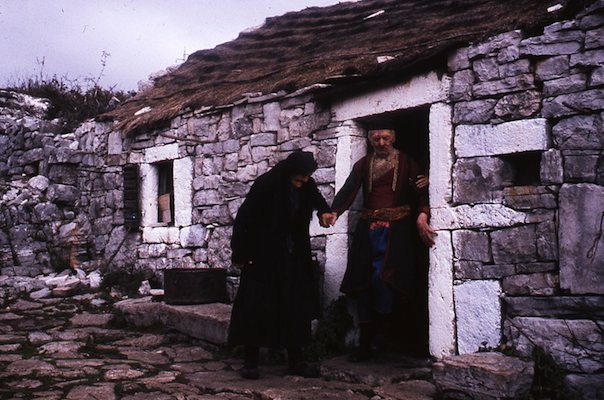 This isolated tribe was located at the headwaters of the Morača River with 1,800 people, and a year before I lived there it was seven hours by foot to the nearest road. 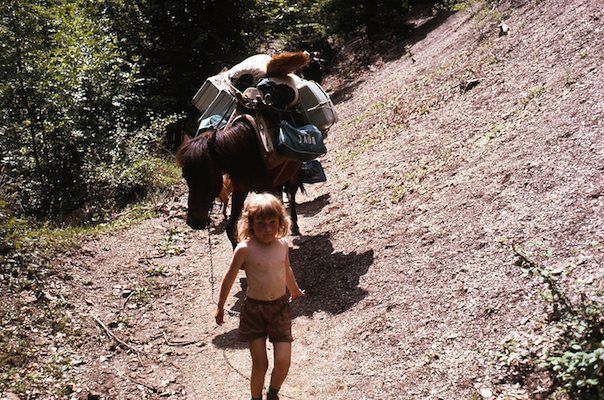 That year, the trip along a canyon side was reduced to four and a half hours, by foot or horse. People kept small flocks of sheep, sometimes a cow, and usually a horse, plus farmed small plots. 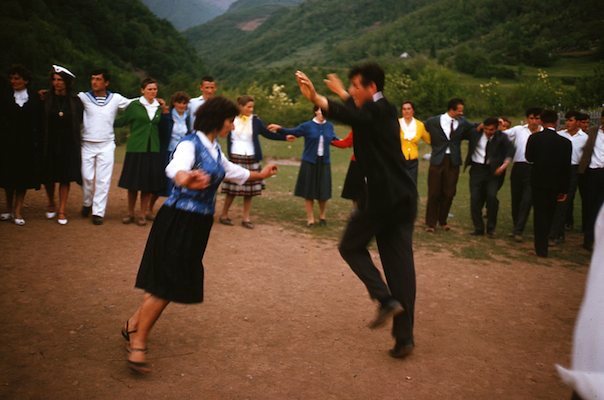 Having resisted the Ottoman Turks for several bloody centuries, these Orthodox Christians had become immersed in the warrior life and sang heroic epics in the evening, as entertainment in the absence of electricity. My Ph.D. fieldwork mission was to study their morals, and to this end I collected definitions of terms having to do with their worldview. In all, I tape-recorded 42 informants defining 250 cue words of this type, and brought back 10,000 definitions made by people with no or little schooling to analyze their traditional worldview. Later, further ethnohistorical research led to the publication of Blood Revenge (1986), with University of Pennsylvania Press. 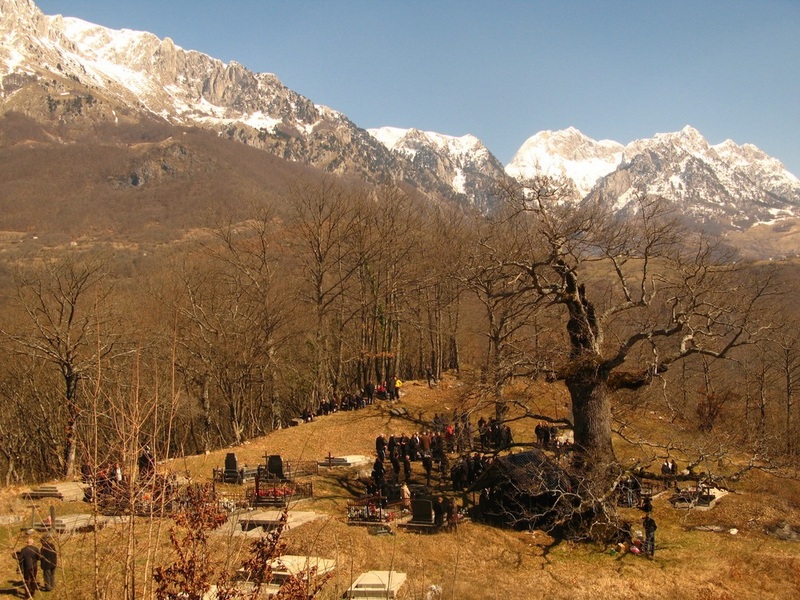 This tree is located in a graveyard in Upper Morača Tribe where I did fieldwork. It is huge, and its size is explained only by anthropology. In January 2015, I finally got a picture of it. The graveyard contains pre-Christian markers, which would date back perhaps a thousand years. 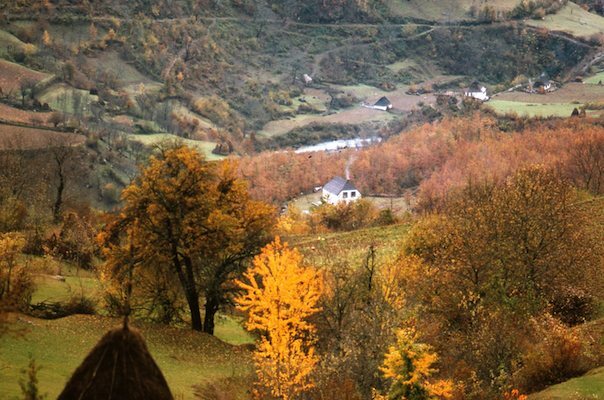 Pre-Christian Slavs had a deistic pantheon including a god of thunder and lightning, who resided in trees. 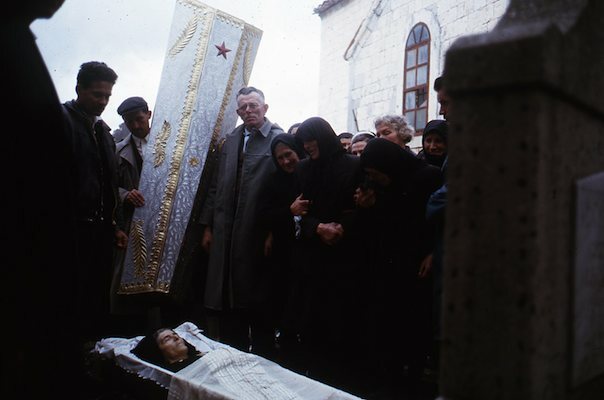 After Christianization, the Eastern Orthodox Saint Vasily was believed by Montenegrin Serbs to also be the God of Thunder and Lightning, and his job was to strike down sinners with lightning bolts. 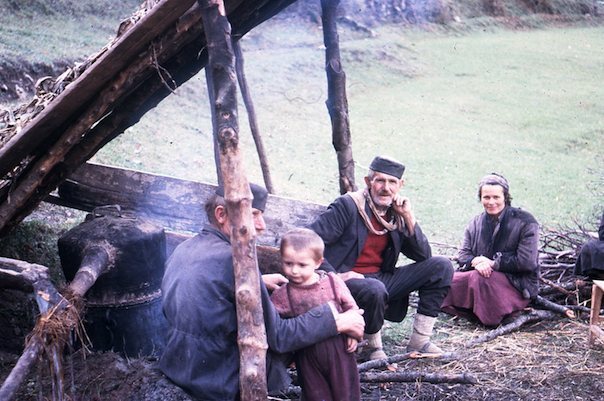 The local Serbs are pastoralists and often take their herds on to high mountain meadows that have no trees. The attrition by lightning strikes is substantial. Locals attach a myth to the sacred tree. One day, a man found that lightning had felled a major branch, and he decided that since Saint Vasily had personally gotten rid of this bough, there was no harm in using it for firewood. Within a year, he was struck and killed by lightning. 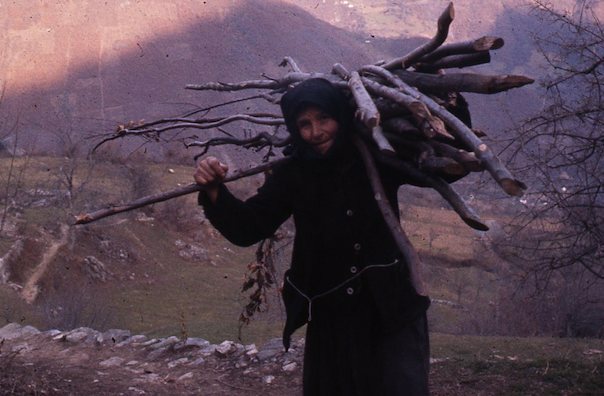 In a long-inhabited tribe in which getting firewood requires an arduous trip, this plentiful source has been untapped for probably at least a millennium. As for age, I doubt that anyone would dare to do a core drill for dating analysis. Not after what happened to the guy who needed easy firewood. In any event, the inside of the trunk has partly rotted out, so the earliest rings have been destroyed.